Our self-help articles have been designed to answer all of your questions regarding incontinence and the products that treat it. 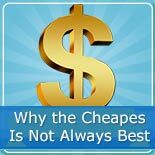 There's everything from which products are best to how to budget. Each article is carefully thought out and researched using the experience of our customer service team. Start with What's the Different Types of Adult Diapers if you are new, and then move on to How to Choose. You can also check out the budgeting article. If you know about adult diapers and are leaking, try our leakage article post to see what you can do. Our Why are Adult Cloth Diapers Better? article discusses the benefits, especially cost, of adult cloth diapers. Lastly, if you are caring for someone with dementia, check out our Alzheimer's and Incontinence self-help article. We will be adding a lot more, so check back!